You can do almost anything with it! 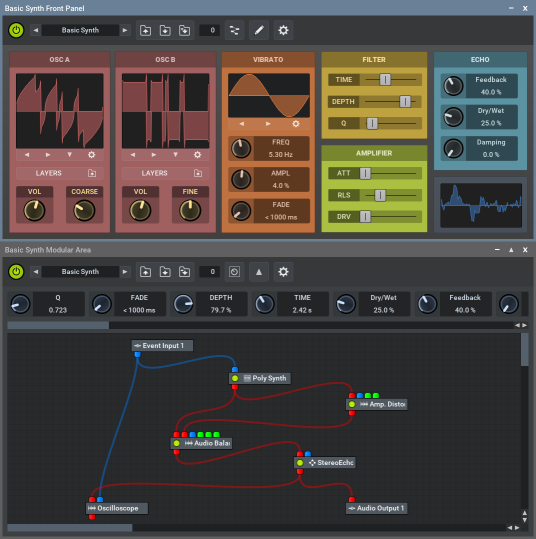 MUX Modular is integrated into MuLab and is also available as a VST plug-in for Windows and MacOS. Includes the MuSampla and MultiSampla sample players. Many preferences so to tweak it to your flavor. 32 bit and 64 bit plug-in versions.